Camping World Package Deals allow you to buy all the essentials together, all at one great price. by the Internal Apex Vent Control that is simply operated from inside. 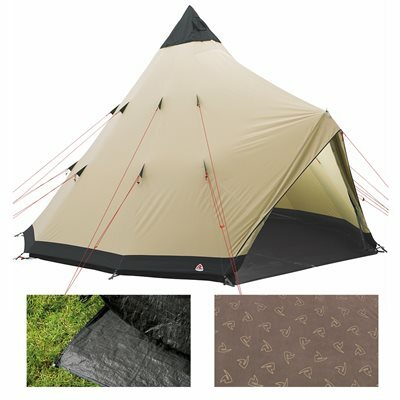 The groundsheet unzips to the centre alloy pole, enabling it to be rolled away to create a safe area in which to use the optional stove and store wet gear. New tents include the Chinook tipi with porch and the Apache that uses an A-frame for a spacious living area, Trapper Twin creates vis-à-vis accommodation and the Universal Porch Tarp and Klondike Front Porch enhance weather-protected access.